Before we begin service, we will inspect your home or commercial space thoroughly to identify the problem areas. Once we determine the scope of the infestation, we will recommend a treatment plan that is customized to your needs and budget. The most common type of treatment we use to remove bed bugs is heat treatment. This will not require a big move-out like a fumigation and you will not need to do any heavy lifting to prepare for service. 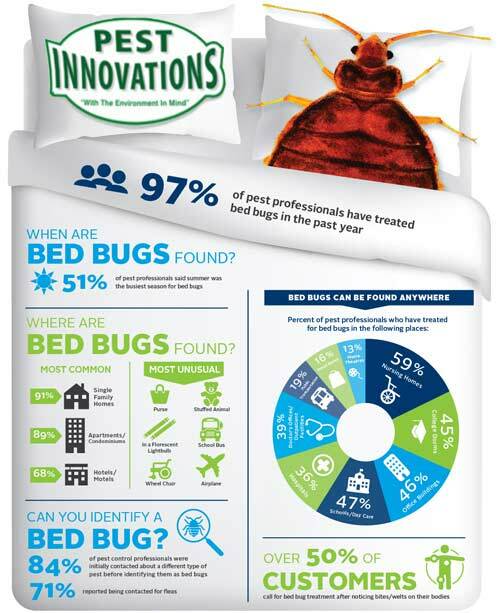 For more information about our bed bug treatment options, call Pest Innovations today! When using heat to remove bed bugs, the structure will be closed off and the temperature is raised to about 150 degrees inside. This treatment lasts for about 4 hours and is hot enough to kill all pests in the structure, without damaging your property or electronics. The heat is able to penetrate walls and other surfaces not easily reached by traditional pesticides. Heat treatments are ideal because no pesticide application is needed. Tenants do not have to vacate for more than a couple of hours and furniture and other heavy items do not need to be moved prior to service. Cimi-Shield is the latest product to destroy bed bugs without using chemicals. 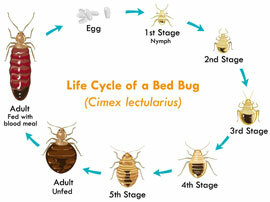 Cimi-Shield is a soybean oil based solution that removes the waxy outer layer of the bed bug. This is the only product on the market that will destroy eggs, nymphs and adults, while preventing future infestations. 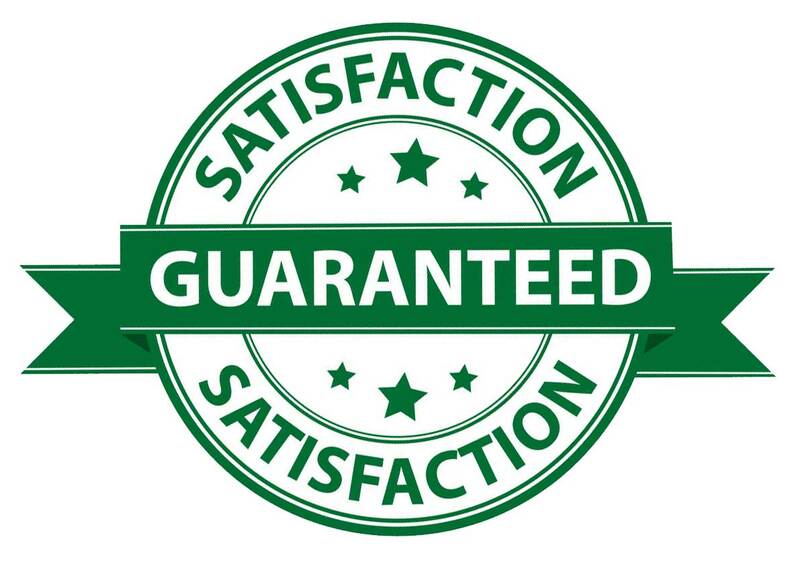 Cimi-Shield does not stain furniture and you will not need to leave the home during treatment. Steam is a non-chemical bed bug heat treatment which works well for directly treatable areas. The steam generated by the Cimex Eradicator is compressed and re-heated before it leaves the steamer, ensuring the dryest, hottest steam available for bed bug treatments. This super heated, dry steam system uses half the moisture of commonly available steam systems, minimizing risk of damage to surfaces. In lab tests, a single treatment with the superheated dry steam killed 100% of eggs and 90% of all bed bug adults present. Depending on your chemcial sensitivity, our steam treatments are paired with Crossfire or Cimishield to provide lasting protection after treatment. CrossFire is a revolutionary new treatment in bed bug extermination. Where other traditional pesticides fail at combating bed bugs, CrossFire has been scientifically formulated to kill pyrethroid-resistant bed bug strains at all life stages and prevent bed bugs eggs from hatching. The combination of two pesticides in CrossFire is the secret of it's effectiveness, the first delivering a quick kill and the second providing a strong residual effect. With our CrossFire bed bug treatment, you can expect continued bed bug control for up to 30 days. CrossFire does not stain fabrics or carpets and will not leave stains in treated areas like mattresses. To begin fumigation, a structure is sealed off and tented. Vikane gas is then pumped through the tented structure for about 2 days. Vikane works by removing the oxygen in the structure, thus suffocating all pests including bed bugs, termites, ants, spiders etc. Fumigation works very well to reach any area that cannot be treated by traditional pesticide. It is not used often as a means to treat bed bugs because other methods are less invasive and equally cost effective. Fumigation may be recommended, however, if termites or other pests are found in the property.